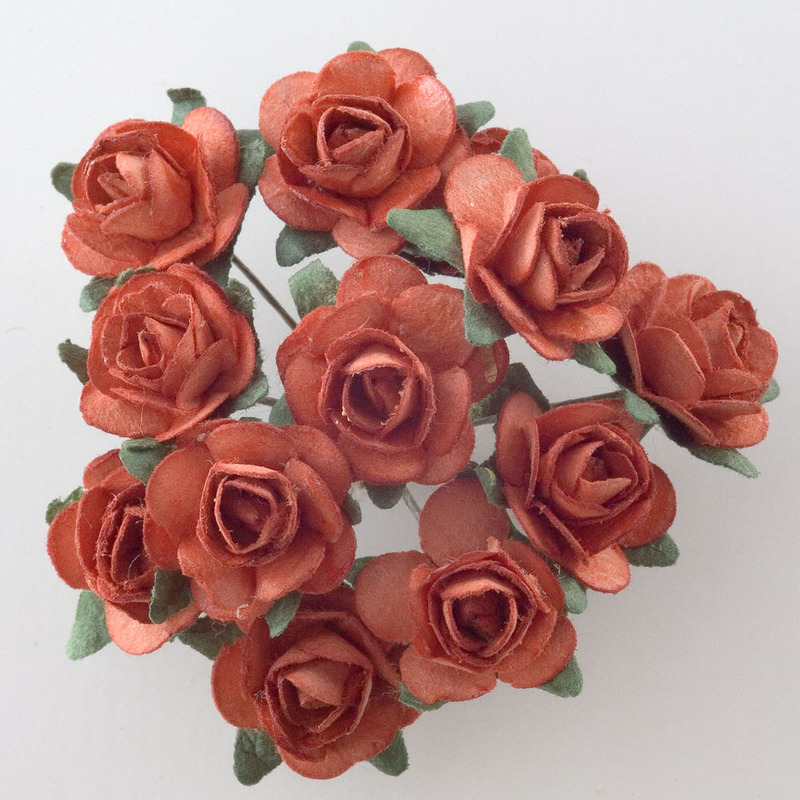 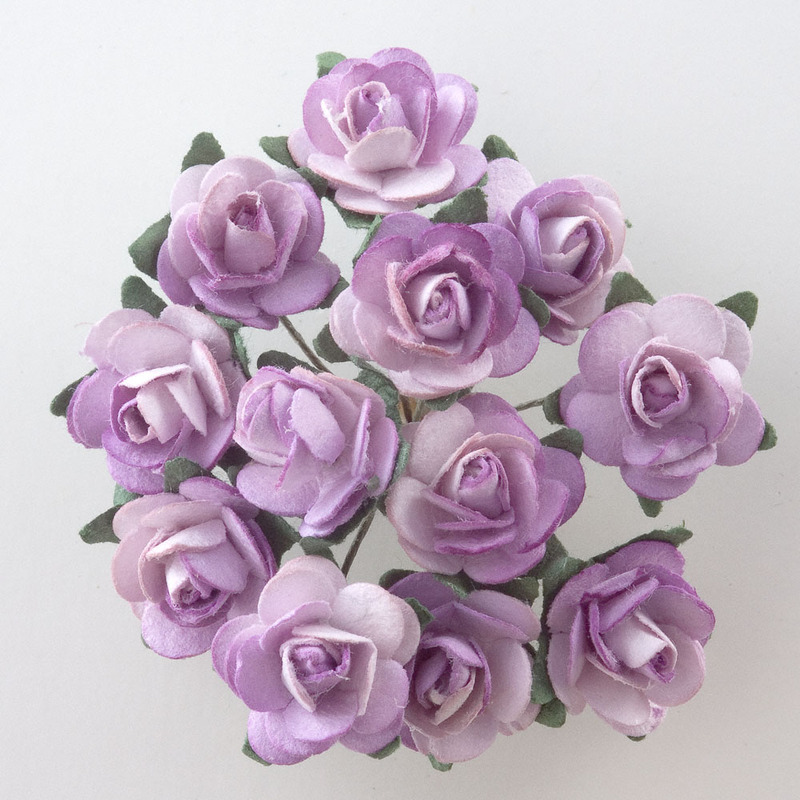 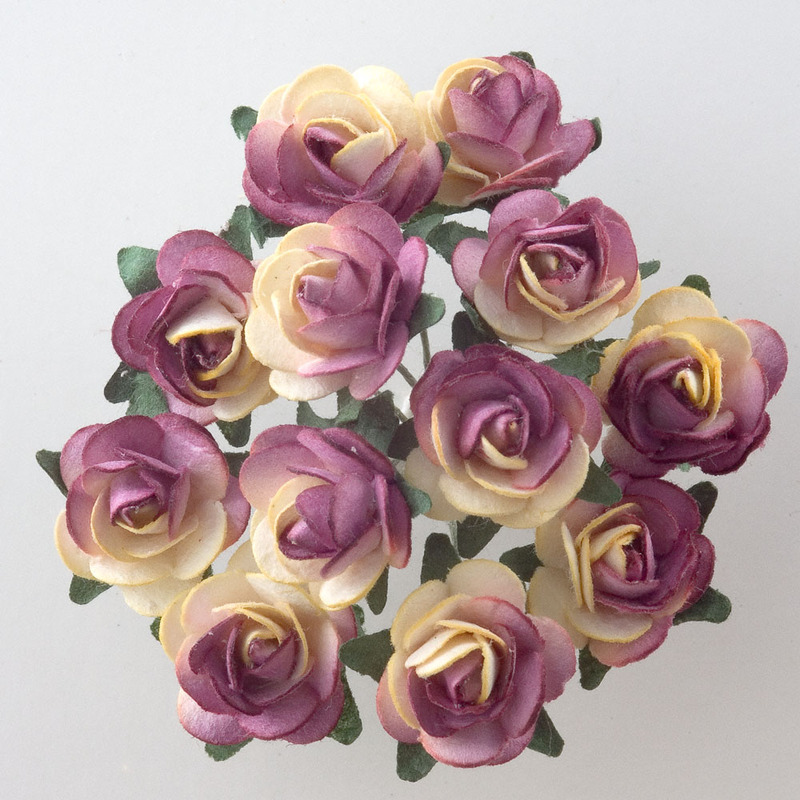 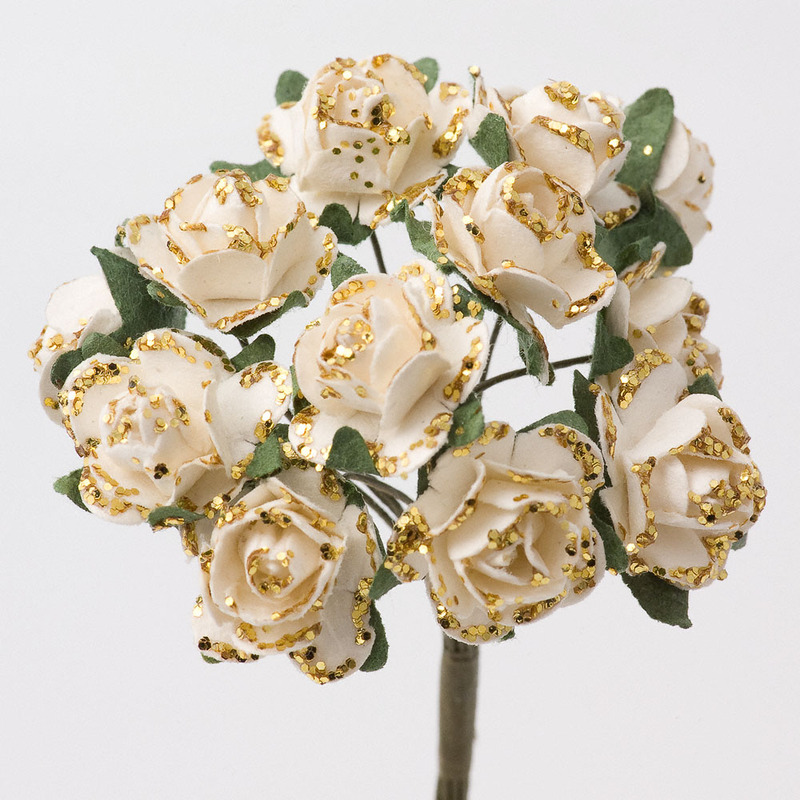 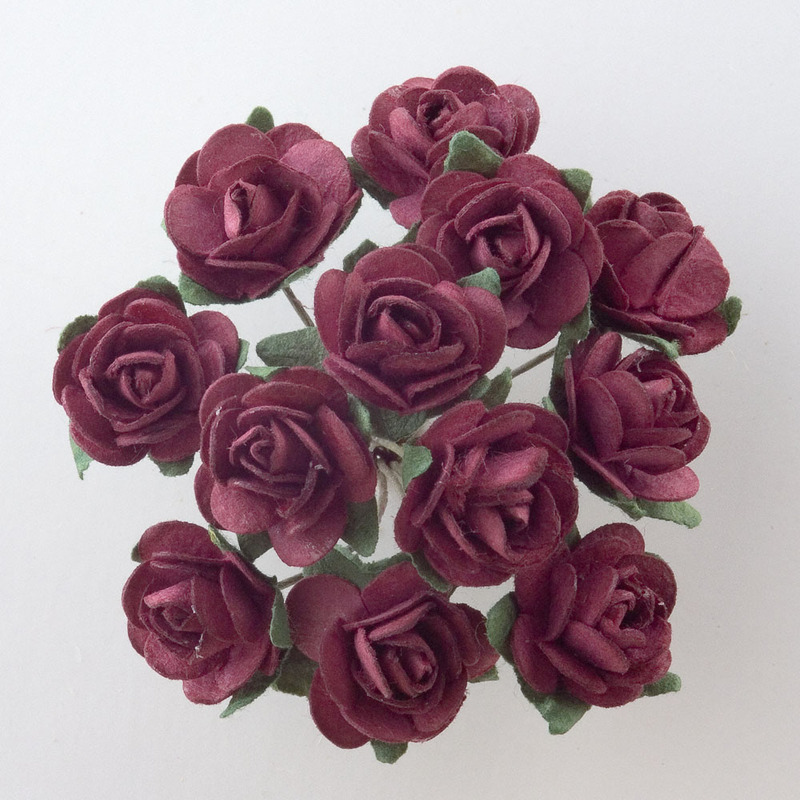 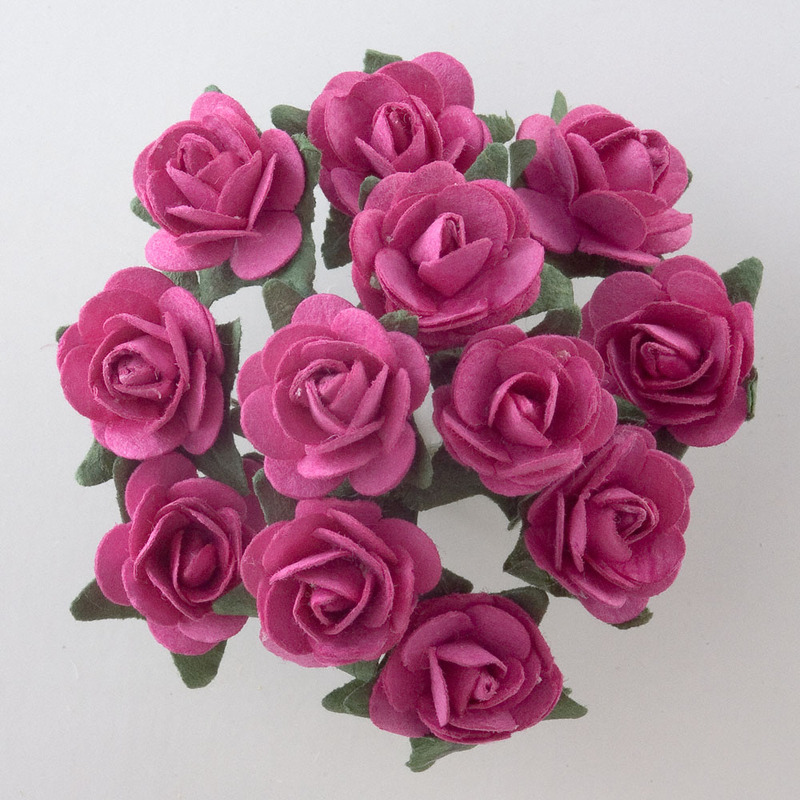 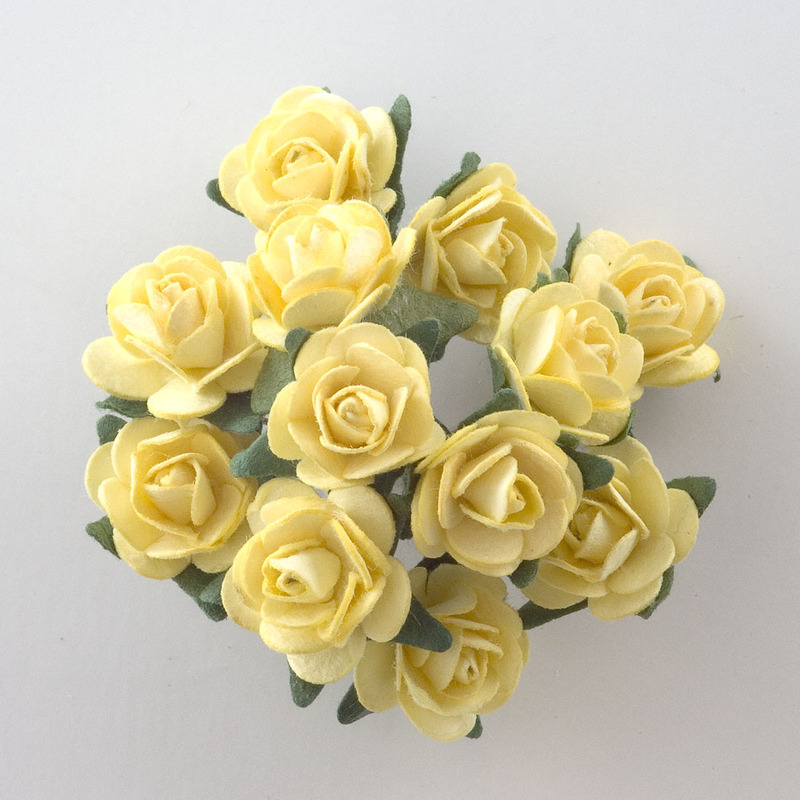 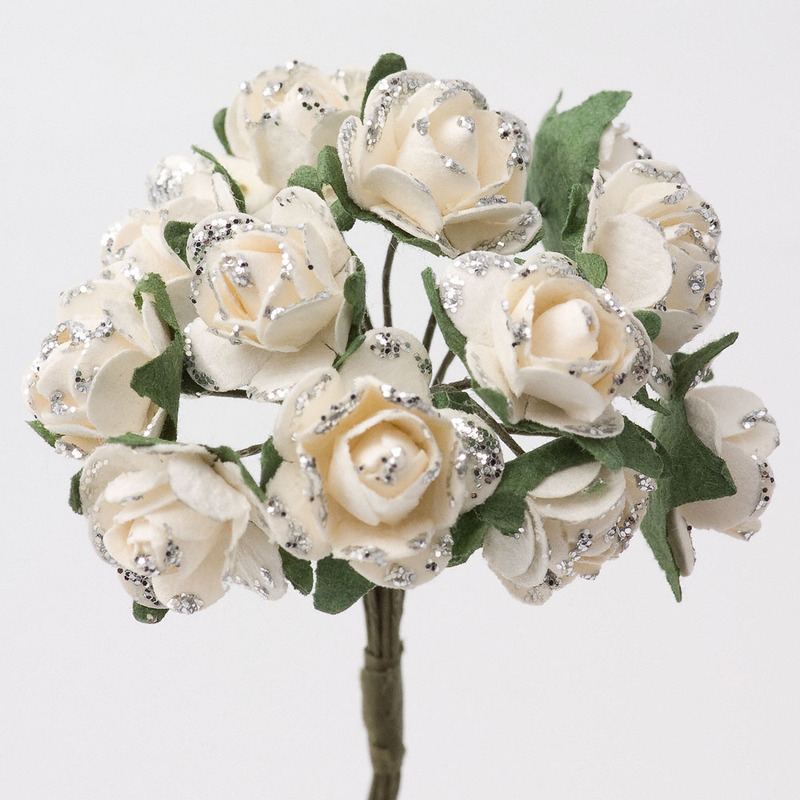 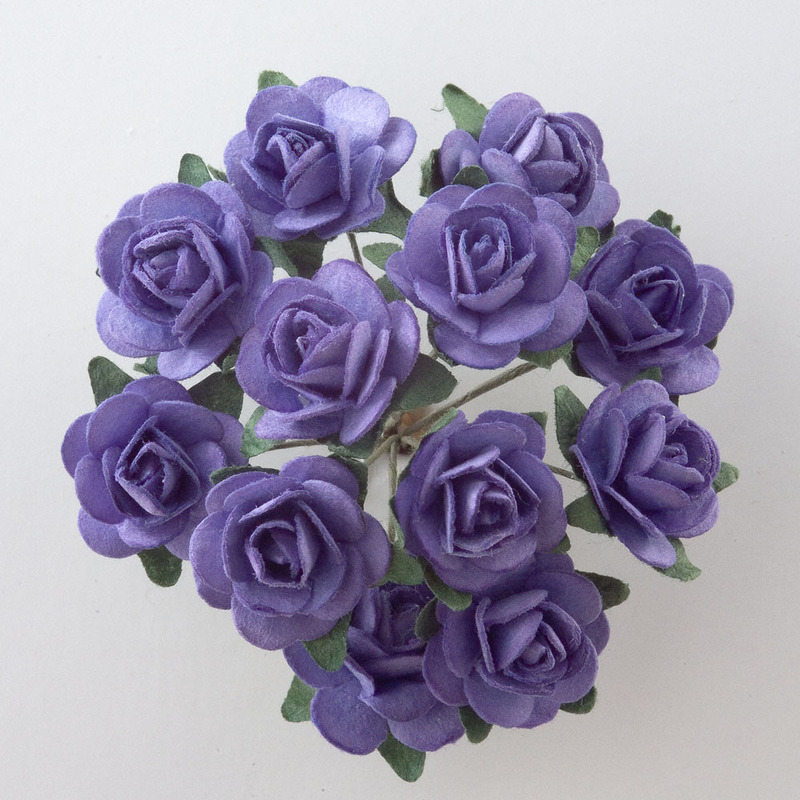 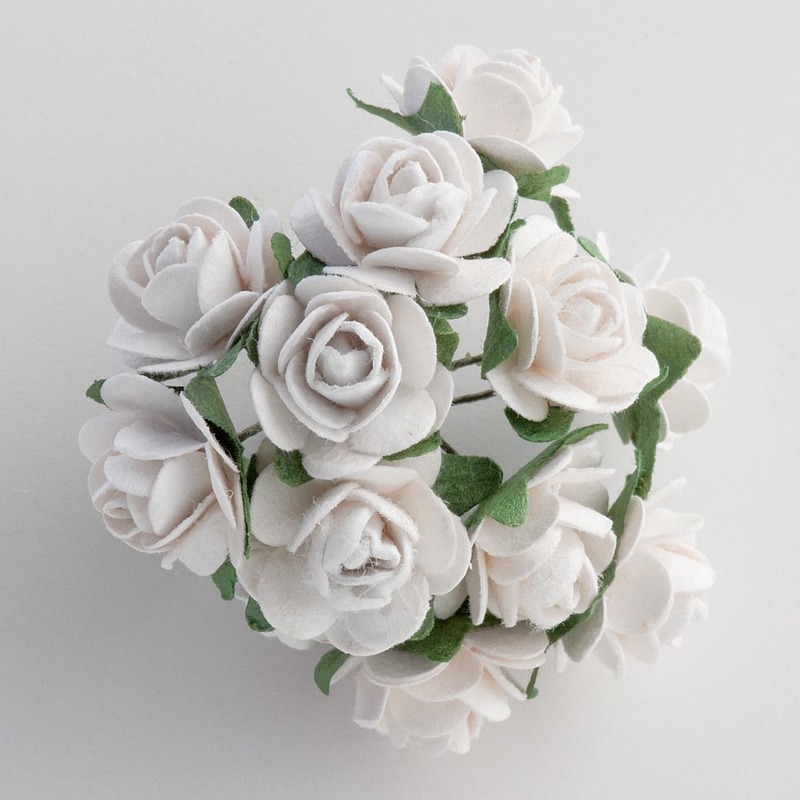 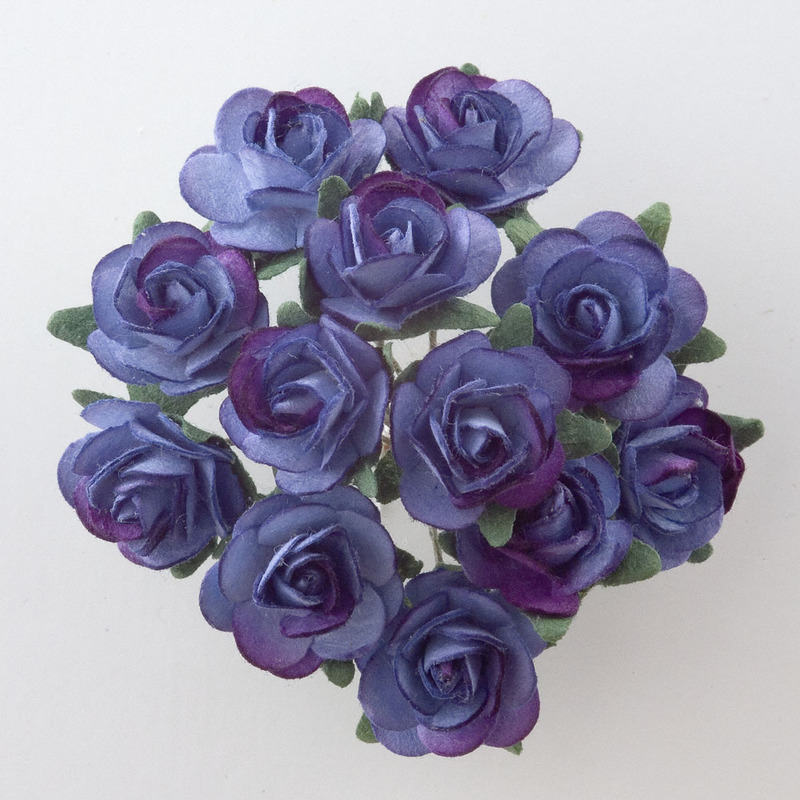 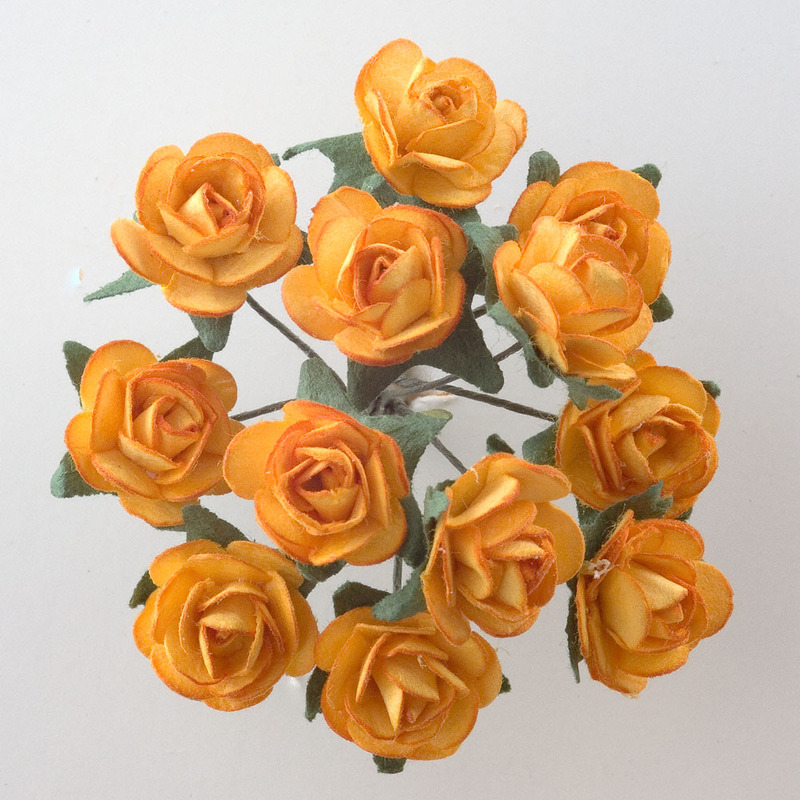 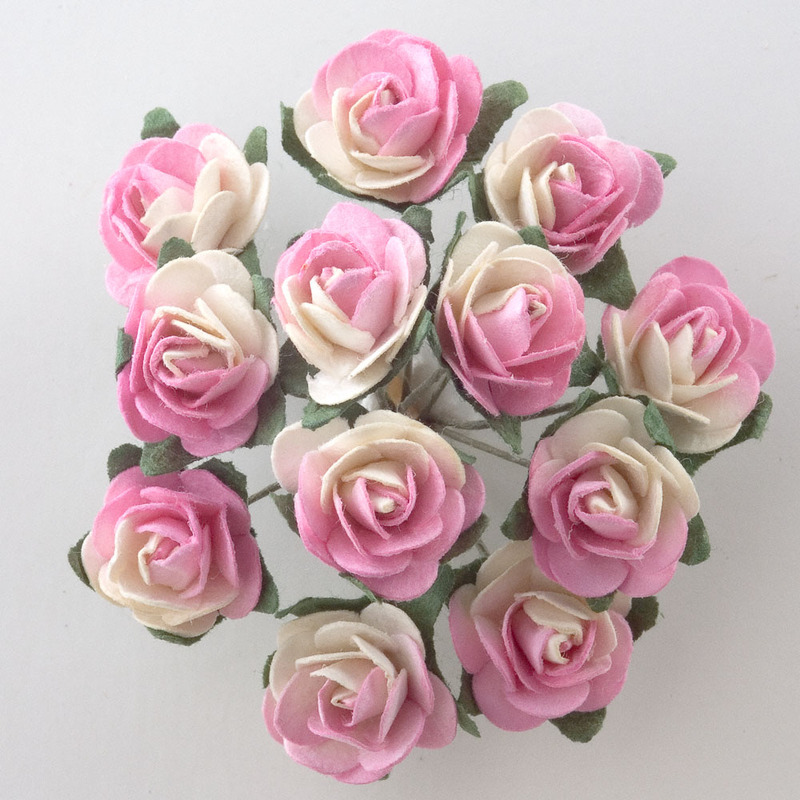 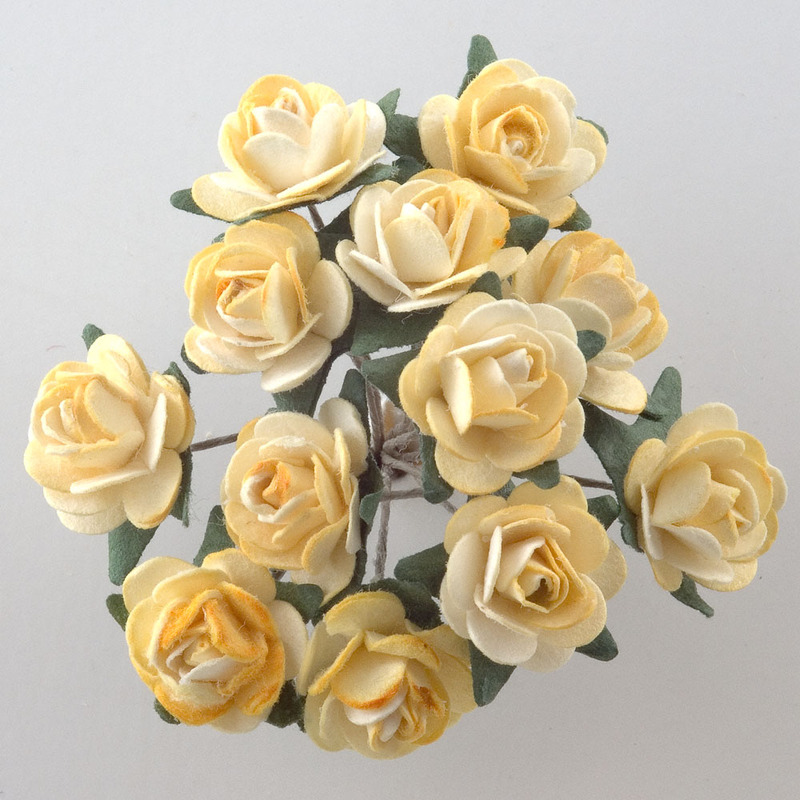 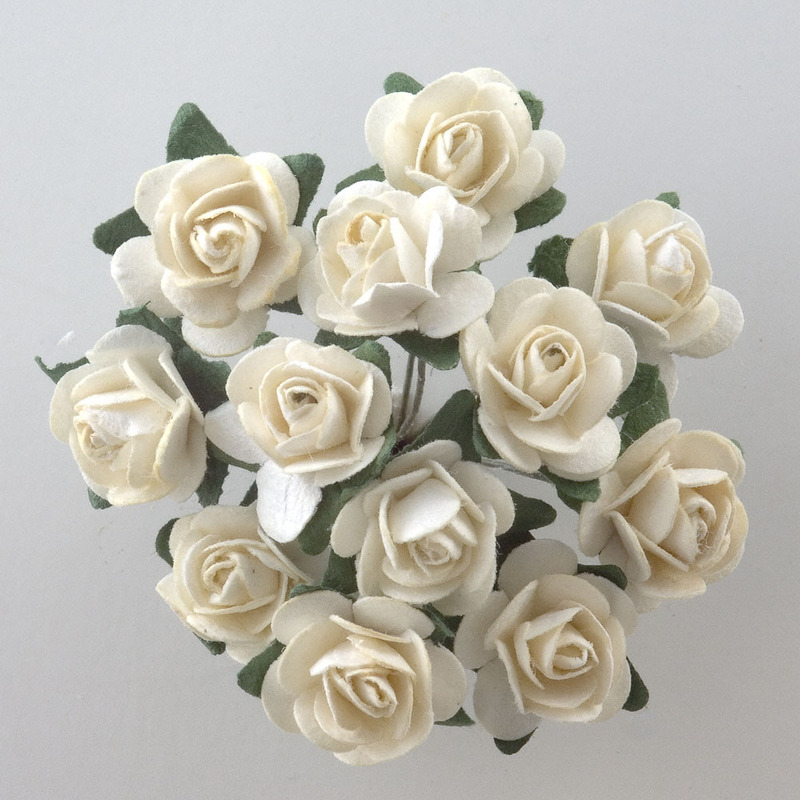 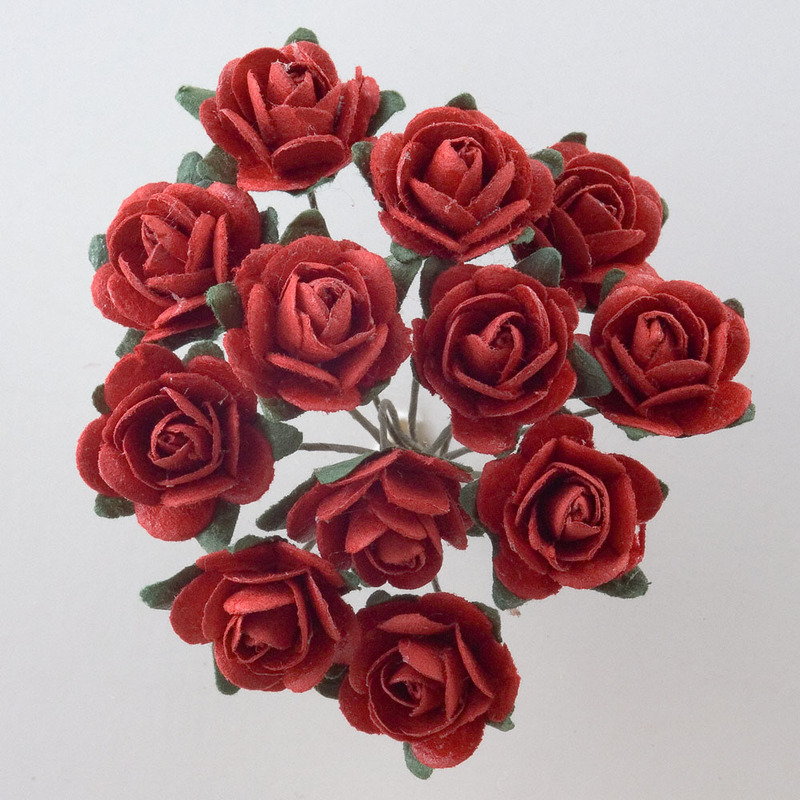 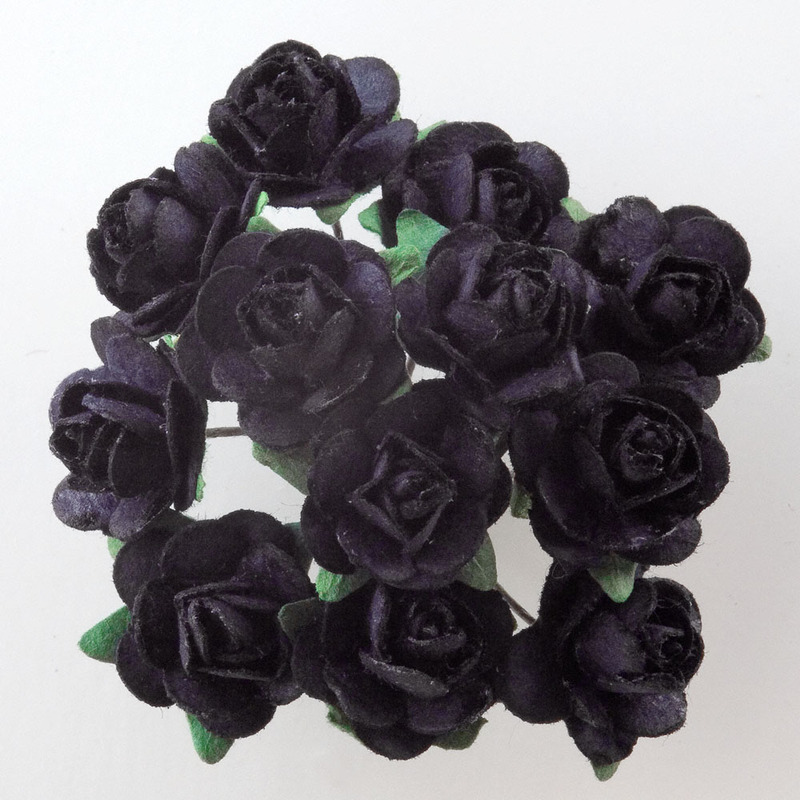 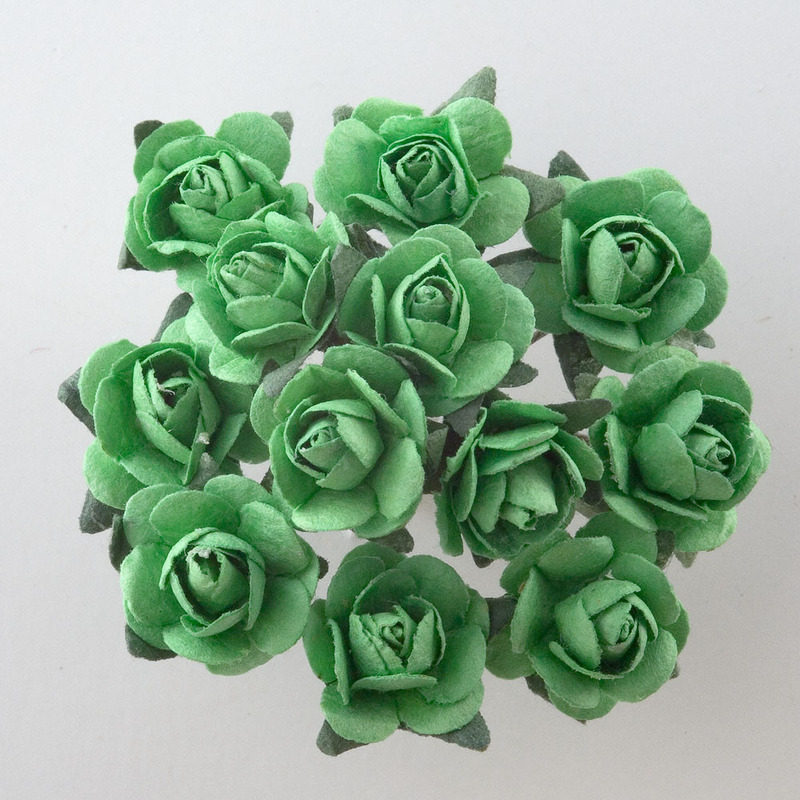 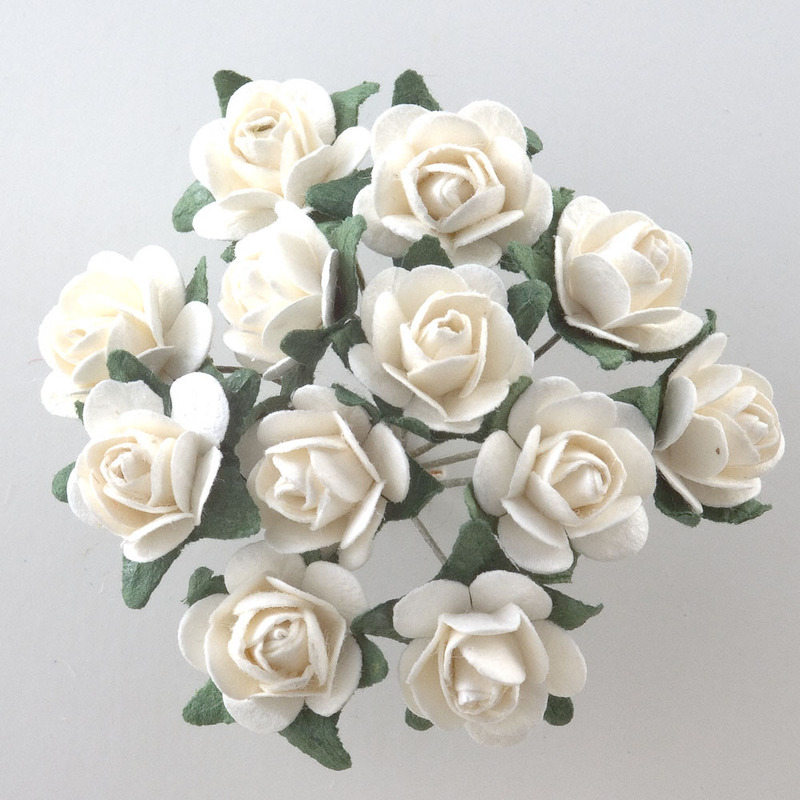 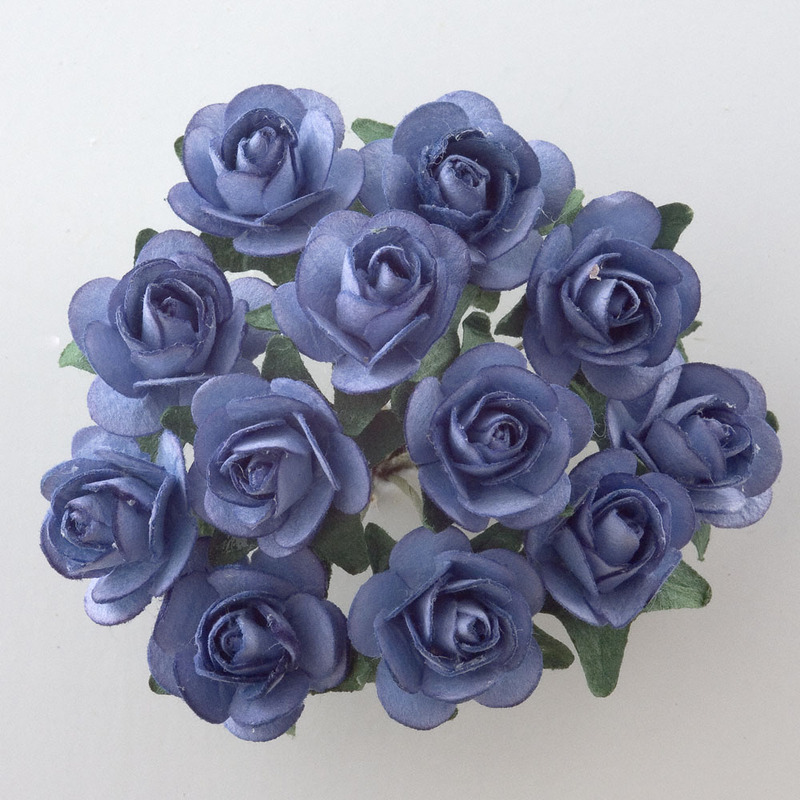 These tea roses are one of our most popular paper flower and are ideally suited to decorate wedding favour boxes or as a rose centre in bomboniere tulle favours. 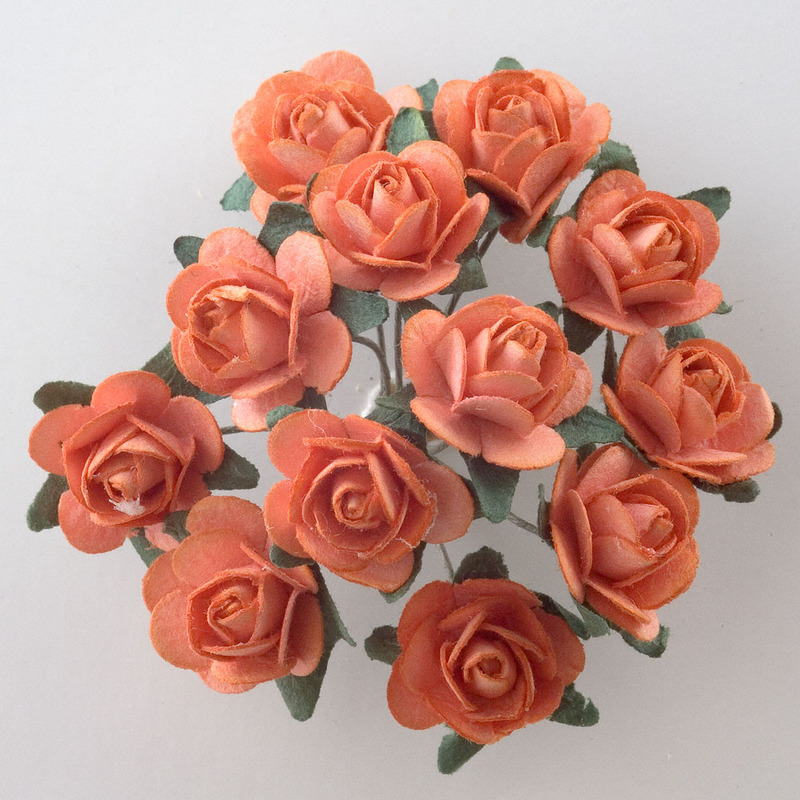 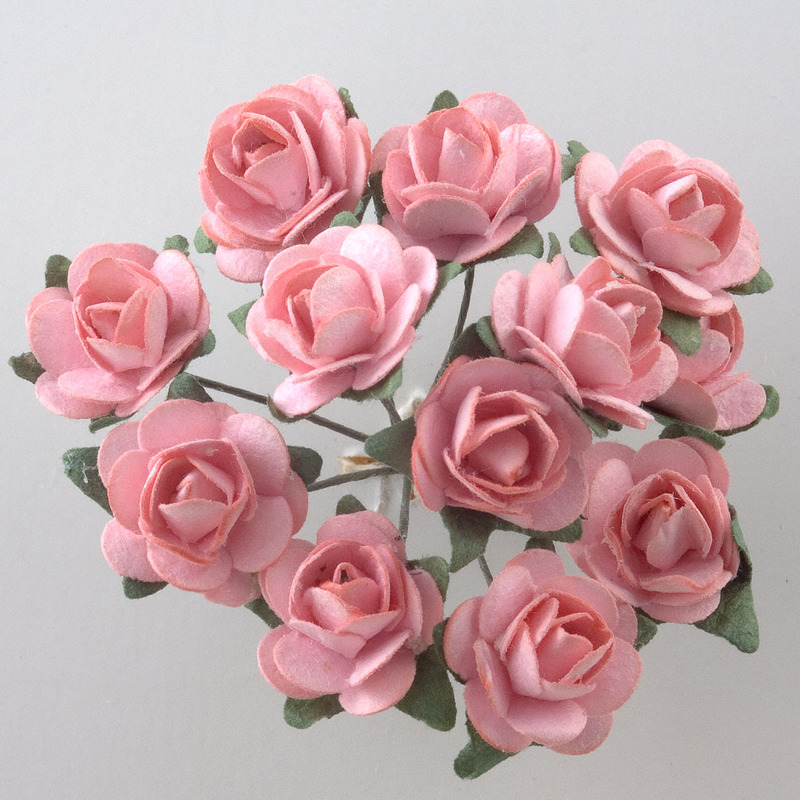 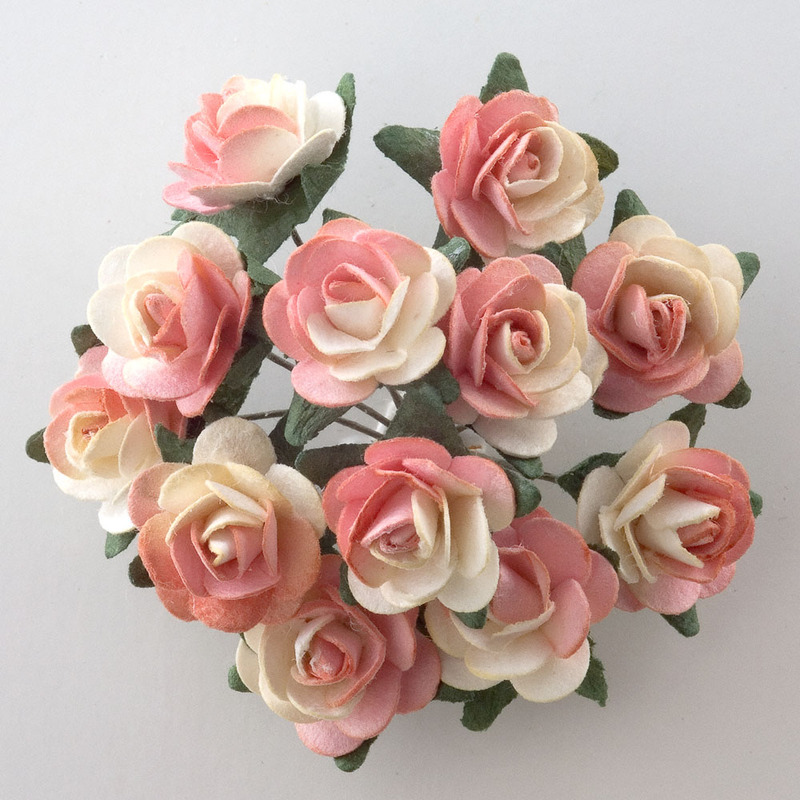 Tea roses are often used to decorate inviations or place cards. 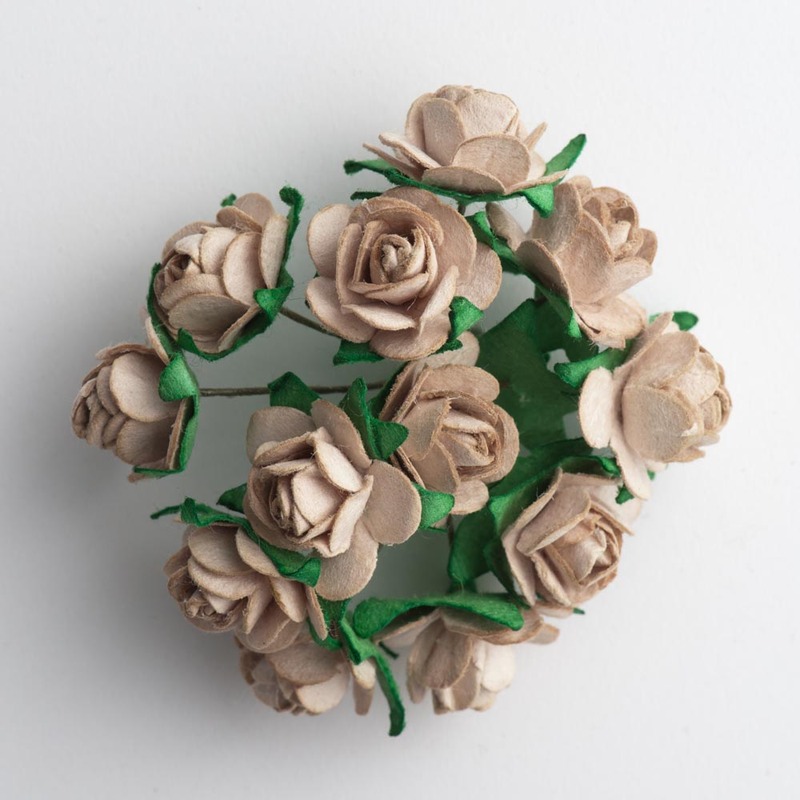 These paper flowers are surrounded by a small green leaf on a wire stem. 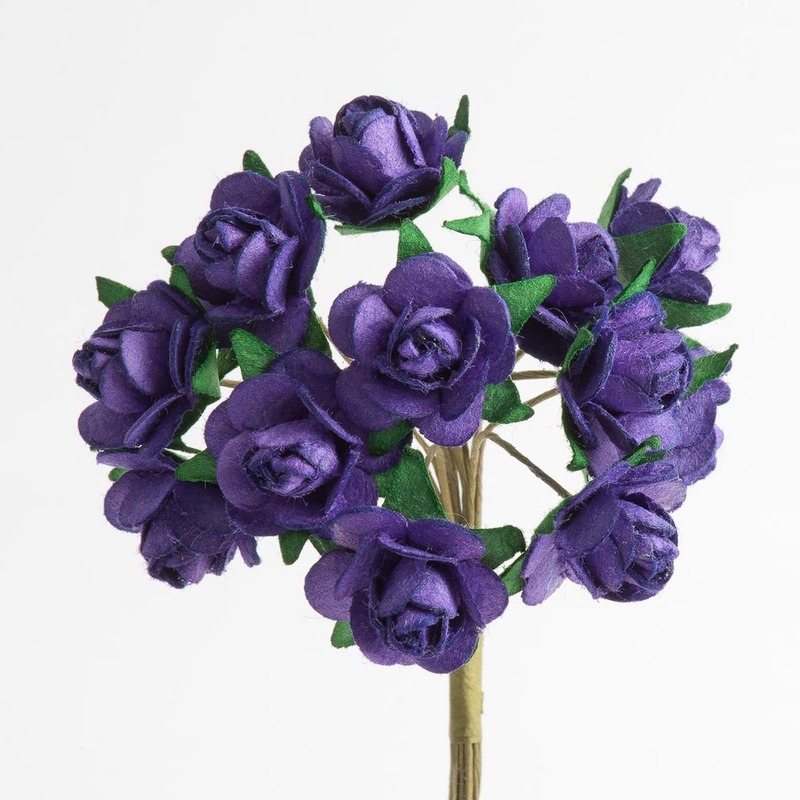 Prices shown are for 1 pack of 12 flowers.